Each of the honorees received a $2,000 cash award from Michelle Hopkins-Molinaro, vice president and managing director of the foundation. The Hopkins Foundation has given nearly $700,000 to teachers and support staff members in the Emporia schools since the inception of the awards. The awards program was a dream of Molinaro’s grandfather, E.L. Hopkins, as a way to reward educators. Christy Dragonas was honored for being an outstanding team leader, teacher and mentor, whether in or outside the classroom. “She goes above and beyond and meets with students during her lunch time and outside of class to make sure they are getting what they need for their success. 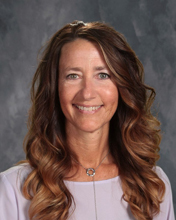 Christy is a very selfless teacher who strives to make her teaching and her student’s educational experience better every day,” one nominator wrote. Jana Marstall is busy working for students, both in and out of the classroom. 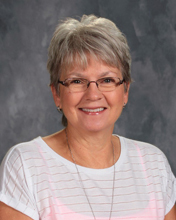 She teaches several business-related classes, helped to create the Spartan Saver store at Emporia High School and is involved in numerous clubs and planning groups, including the Future Business Leaders of America, Advancement Via Individual Determination and Building Leadership Team. “Jana makes it all seem effortless when I absolutely know that is not the case. She is efficient, organized and continually revises to offer students the best opportunities. What a great role model and selfless individual she is! Jana shares her free time; she is a regular when it comes to extra duty,” one nomination read. Art is about creativity and inspiration, and Josh is known for going outside the classroom to bring those qualities to those around him. “He takes the time to make learning fun, and with that he also makes sure that his students understand what he is talking about. When I was in school he constantly set us all up to succeed, when we were willing to learn,” one person wrote. Marc is well known for her can-do attitude, problem-solving skills and ability to save the district money whenever possible. 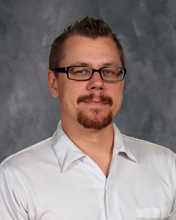 “Marc streamlines our operations by being our ‘go-to’ person to save the district money. If any staff in the cooperative needs to purchase something, I asked them to go to Marc first because she can find us a cheaper price on just about anything we purchase,” said one nomination. Known at Emporia High as “Mrs. T,” Renae has also been called “the glue” that makes the office run smoothly. “She puts in countless hours to provide food and hospitality when we have a staff meeting or if we are hosting site council. She never wants to be recognized for her hard work and support she provides our staff. In my 10 years working with Mrs. T. I have never once heard her complain about her job, anyone she works with, or anything she is asked to do,” according to one submission.